Get the imagery you want, at the exact time of the year you want it! 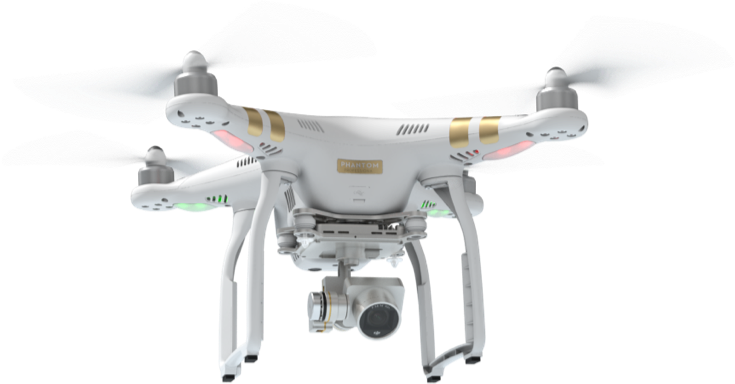 Our experienced drone operators have mapped dozens of properties, and have a documented system for getting consistent, high-quality imagery. All of the pictures, HD video, and data we collect remains confidential, and ownership rights remain with you, the client. We offer services for outdoor-sports marketers, environmental engineers, foresters, farmers, land managers, hunters, land brokers, and government agencies. HuntStand & TerraStride Pro use mapping technology that helps people enjoy, manage, and market properties. 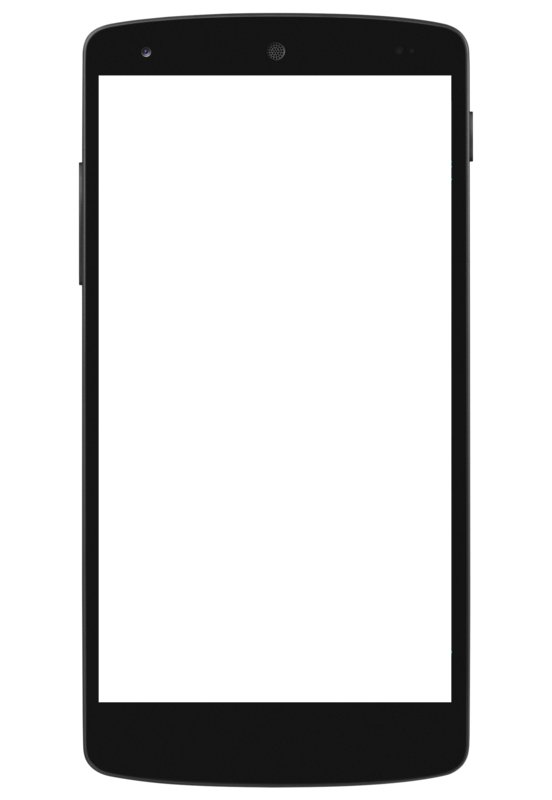 Their online mapping platform bridges the gap between mobile and browser based mapping, enabling people to create, edit, and save maps using any device. Their advanced tools and annotations turn our stunning imagery into powerful maps. Combine Back Forty’s drone imaging services with TerraStride’s high quality print engine to get your maps printed in amazing detail. Back Forty provides a premium service for premium properties. Digitizing properties is equal parts art and science. First we fly to create high-resolution basemaps, unique views of properties and assets, then we upload them to where your guests, friends, clients, and prospective customers can view them- on any device. A thermal camera mounted on a drone- can you imagine the possibilities? Solar panels, roofing inspections, irrigation/ soil moisture, and of course wildlife tracking. Increase member value, book more hunts. Relax while we do all the leg work to virtualize your property! Let us do what we do best and take care of the flying, the GIS, the pictures, and the videos while you focus on what you do best! We take the time to talk to each customer personally to evaluate your needs and let you know more about the innovative services we offer. We've made it simple to book a 30 minute one-on-one consultation and quote. Each customer we add to our portfolio is considered part of the Back Forty family, and we're ready to get started when you are! We’ve got you covered day or night. 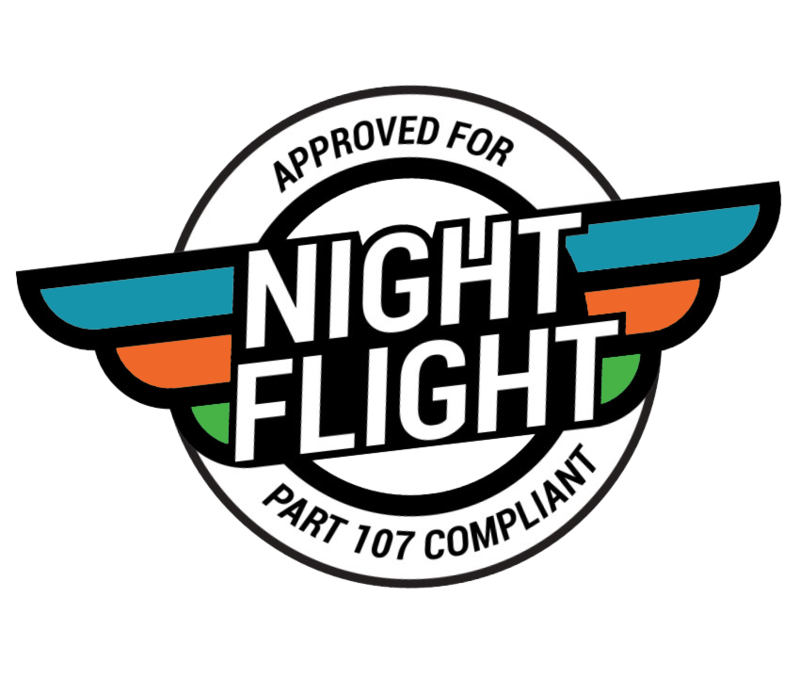 Our FAA Part 107.29 exemption status allows us to fly beyond normal daylight hours. You’ve spent all season waiting for that perfect shot, you know you hit it, but 5 hours of tracking and still no trophy… you know who to call. Sales and training also available for hunt clubs and outfitters. A single visit from our team can generate all of this interactive, easily accessible data! Orthomosaic- An orthomosaic, orthophoto or orthoimage is an aerial photograph geometrically corrected (“orthorectified”) such that the scale is uniform: the photo has the same lack of distortion as a map. It is a photographic map. Since an orthomosaic image has a uniform scale, it is possible to measure directly on it like other maps. We fly your property to create an orthomosaic image that we then use as a new basemap in either of the Terrastride platforms (Huntstand or Terrastride Pro). For an additional fee we will add annotations and pictures or video to your important features! If you’re looking to help your clients, guests (or even yourself) visualize your land- this is the perfect solution. As you see here, you can embed these models on your website, share them on social media, etc. 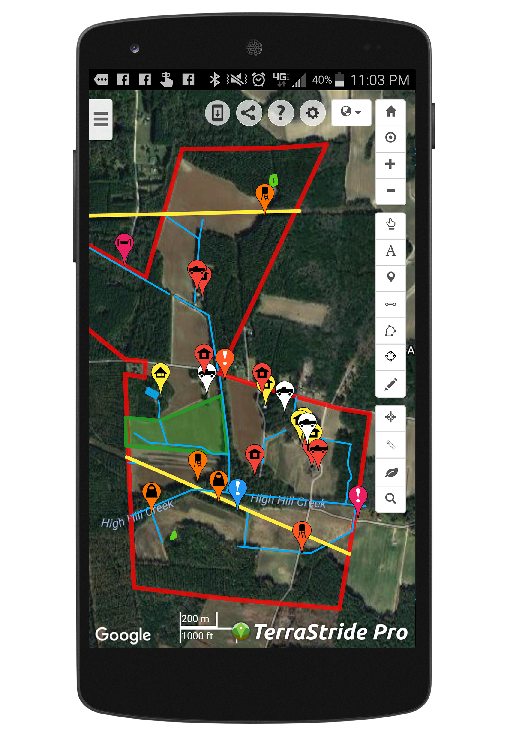 These impressive visualizations can be annotated with important information such as food plots, lodging, fields, and hunting areas. Have a look! We don’t seek to replace agronomists and crop scouts, we want to work WITH them! This map shows a green-VARI algorithm (visible atmospheric resistant index) applied to the orthomosaic imagery captured and showcased in the TerraStride Pro map above. What can a landowner learn from this map? 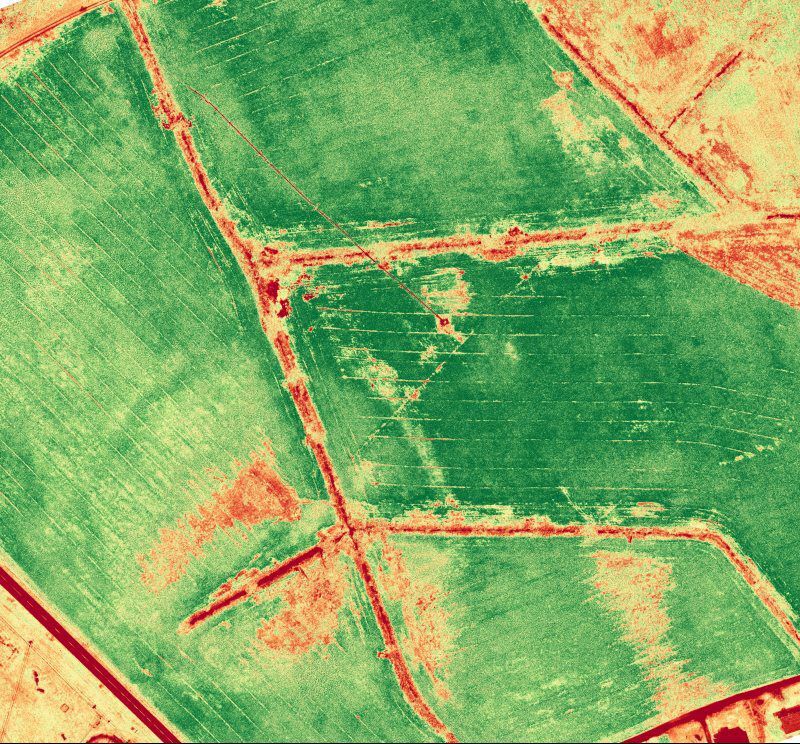 Harvested fields show up as red, and yellow. Areas of no vegetative coverage (the deep red) also show roads, water, and freshly tilled fields. These types of flights are valuable for farmers to gather information about large areas, saving time of riding up and down the rows with a dirt bike. A DSM is an elevation model that includes the tops of buildings, trees, and any other objects. Unlike LIDAR, it only shows ground/bodies of water where there is nothing else overtop of it.. So what does this DSM show a property owner? The model uses a rainbow color-range to visualize elevation: Blue being lowest, Red being highest values. Canopy changes, areas of unharvested crops, and potential drainage issues are visible in this model. 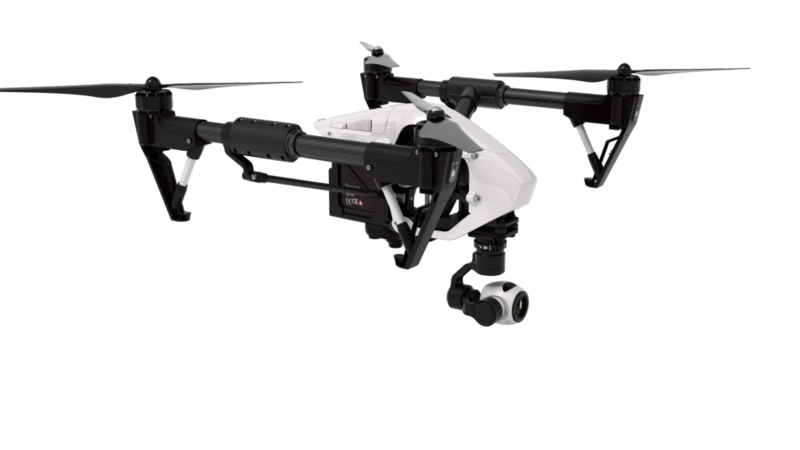 Now that you've seen what Back Forty Aerial Solutions is about- let's talk about what our drones can do for you.